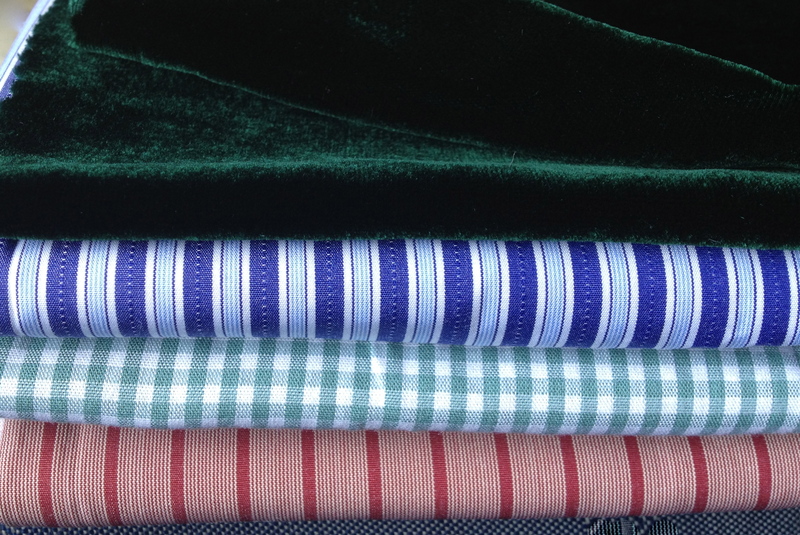 Usually my wool colour range is oriented towards cold, natural, or Christmassy shades – it has no ‘alternative’ colourways. I mentioned in a recent post that change is the only certain thing in life and we ought to embrace it. Yesterday, on a rather low-mood day, I did just that. Unusual for me, I braved Oxford Street on a Saturday (if you’re not familiar with that, it’s a busy day and place to be!) 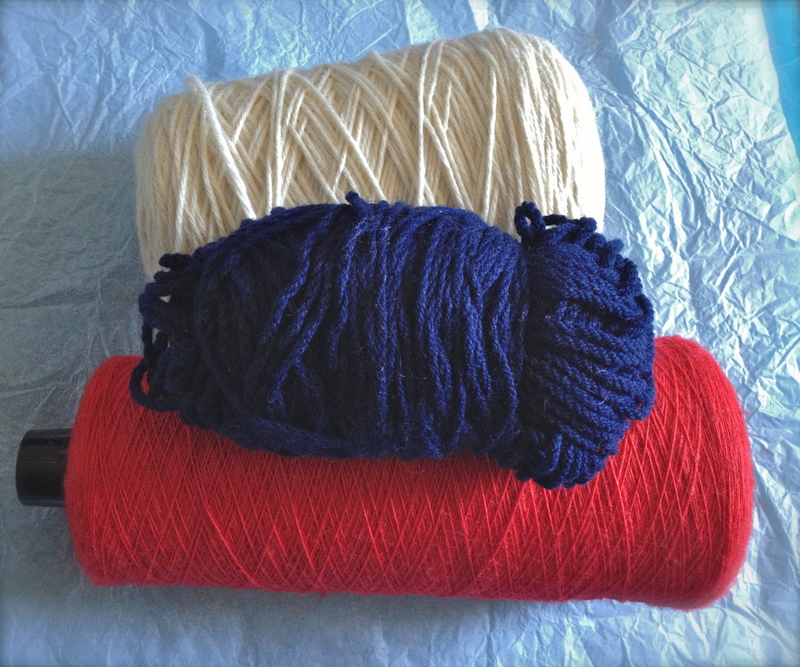 to buy some fine DPNs that I had set my eyes on while ago – maybe they would work well with my Shetland 2-ply yarn. While there, I was squeezing some wool (you can’t do that on the internet!) 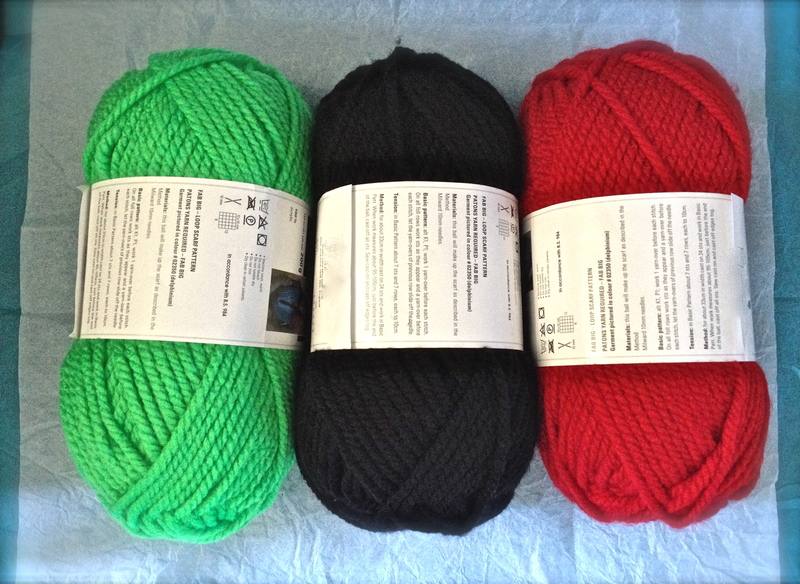 and almost bought some in natural tones, but instead decided to opt for another one I had seen online earlier, which is from a local producer and sold through a small yarn shop. And then the unexpected happened… May it be because of some Flashdance posts I have been reading recently? Or perhaps due to a need for something less conventional? 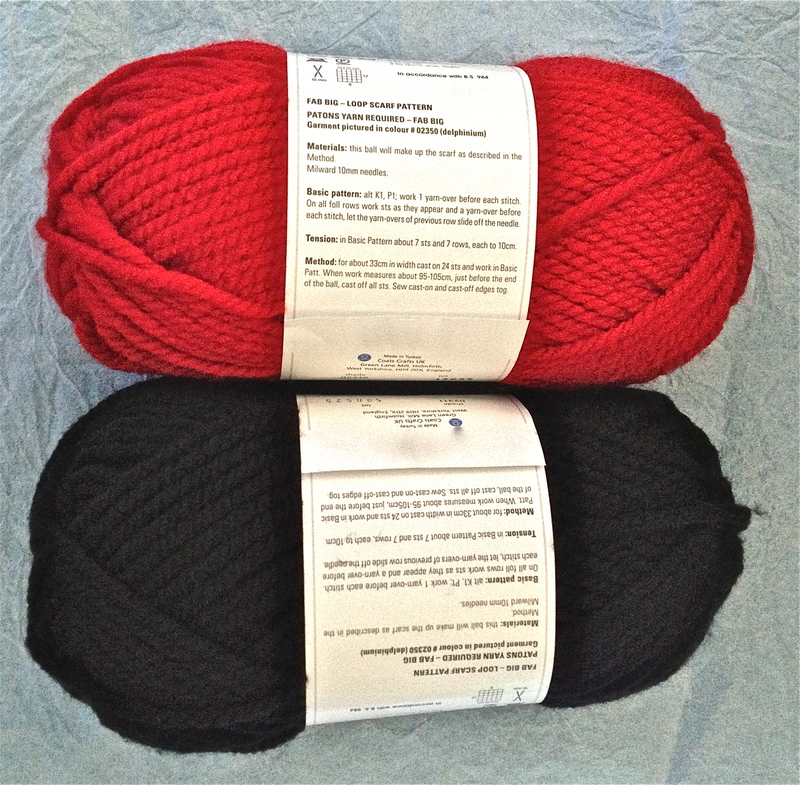 I ended up buying this chunky yarn in black and red, plus some more in neon green to go with the flashy pink wool snapped at the charity shop. Anticraft – Knitting, beading and stitching for the slightly sinister, by Rénee Rigdon and Zabet Stewart, photo by Al Parrish. 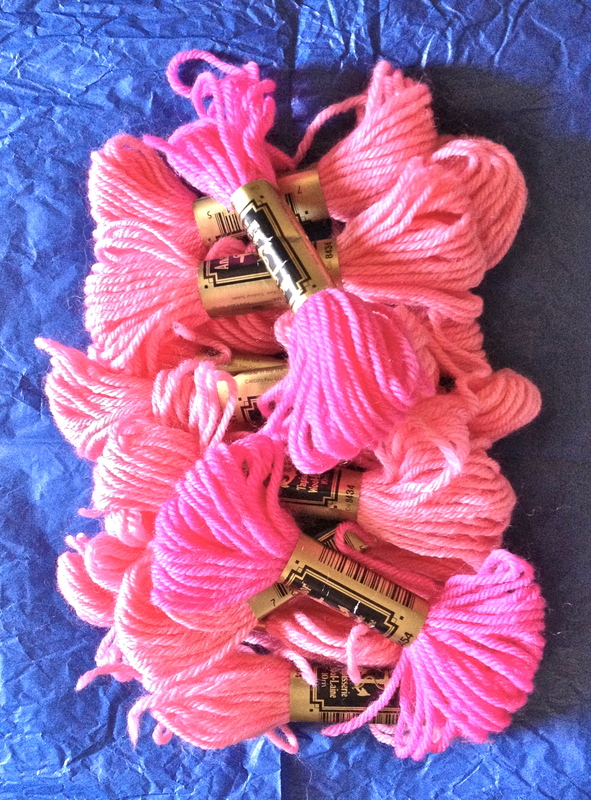 But there is also another confession that I have to make: the chunky yarn is 100% acrylic… well, at least the other pink one is 100% wool. I can hardly believe I did this!! I just couldn’t find there any neon wool made of… er, real wool. So if you know of any, pretty please, would you share your sources? On the same tour, there were a few definitely more conventional finds: a handful of fabric cuts and some wool in Nordic shades. Yes, I swing from one extreme to the other… Am I the only one? 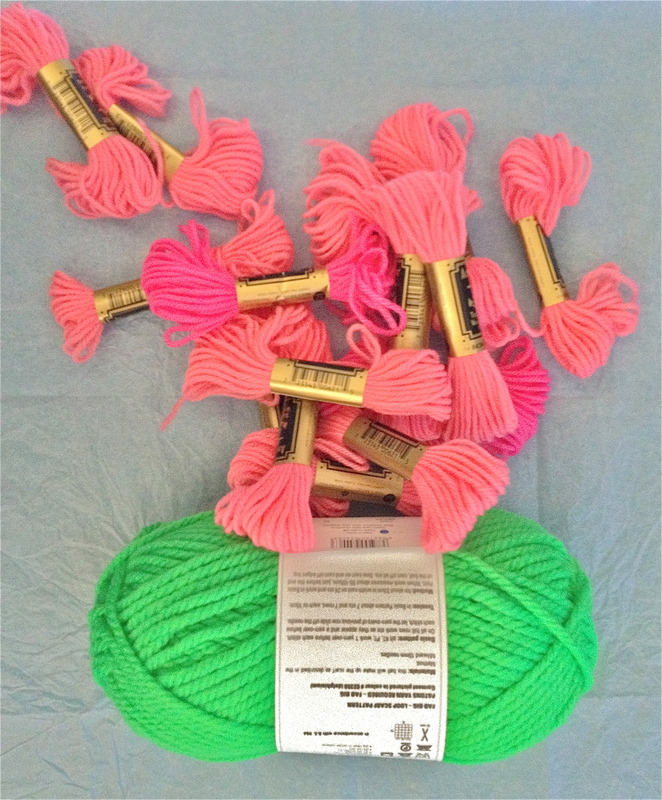 This entry was posted in knitting, yarn and tagged 80s, Anticraft, fabrics, Flashdance, goth, Knitting, leg warmers, neon, wool, yarn. .. and now i have that song in my head! I’d totally go for anything Anticraft! I love their site and the book. So maybe I’m biased… legwarmers are totally cool too. Thanks! yes, i bought the book because had seen many interesting quirky pieces in there and I couldn’t let it go 🙂 I’m trying a skull neck warmer at the moment, but hope to work with one of the Anticraft patterns soon!